The cutting-edge EM series turret punch press uses twin AC servo drives directly coupled to the drive shaft. Amada’s third generation drive system combines the simplicity of the original clutch and brake technology with the high speeds of the fastest hydraulic ram driven systems. The result is unmatched performance, superior reliability and lower operating costs. 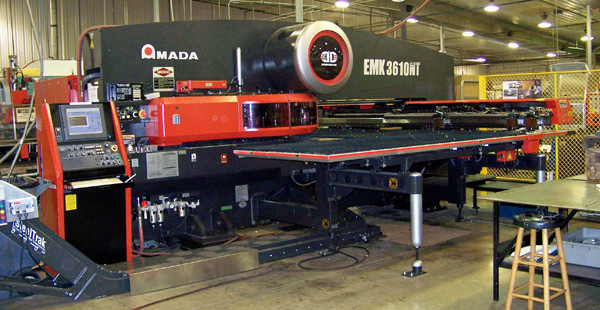 We also have three additional Amada turret punch presses one with an MP auto loader and stacker system.